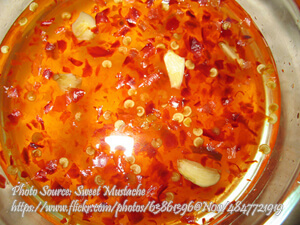 A very easy to prepate spicy-sweet dip composed of fish sauce or patis and lime or dayap, coriander and of course, red or green chili peppers. 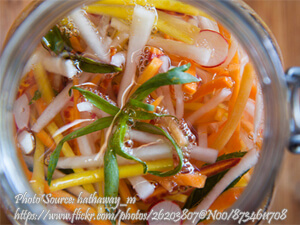 Great for your favorite fried foods whether it is fried tofu, fish or chicken. In a mortar and pestle, pound together into a paste: sugar, chilies, dayap rind, dayap leaves, coriander, etc. Add Patis. Slowly stir in dayap juice, enough to balance tastes. 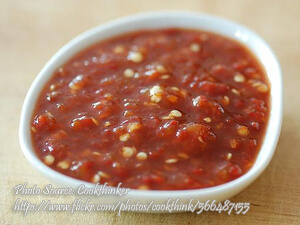 Spicy-Sweet Patis-Dayap Dip is best for fried dishes!